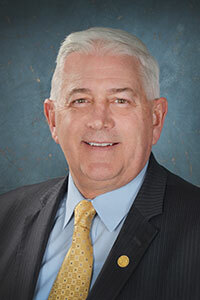 LANSING, Mich. — As summer comes to a close, state Sen. Ken Horn made one last stop in Frankenmuth for the final part of the special three-part series in the senator’s own hometown. In part one, Horn visited the Bavarian Inn to prepare chicken dinners, and during part two the senator received a tour of the world-famous Bronner’s CHRISTmas Wonderland. Part three took Horn through one of Frankenmuth’s oldest industries: milling. Star of the West has had its hold in Frankenmuth since the Hubinger brothers arrived from Germany in 1846. Before traveling to Frankenmuth, the Hubinger family had two hundred years’ experience in milling back home. As the tour started, the semi-trucks were already lining up with the day’s delivery of freshly harvested wheat. Since the wheat comes straight from the field, it comes in contact with various insects and other naturally occurring objects, which is why the wheat is immediately sampled and put through various tests after it is delivered to determine the cleanliness and overall quality. Next, the tour went inside to mill, where a brief run of clean wheat was in progress. This particular batch was being ­produced specifically for delivery to Battle Creek to be used in cereal and other breakfast products. The wheat is processed through various sets of rollers, where it is crushed until it reaches a powdery consistency, otherwise known as flour. Just because the wheat has been ground into flour does not mean the job is done. In fact, while all you may see from the street are massive silos, wheat being processed and flour being loaded onto trucks, there is just as much work being done behind the scenes in the labs. First, the moisture of the wheat must be tested. 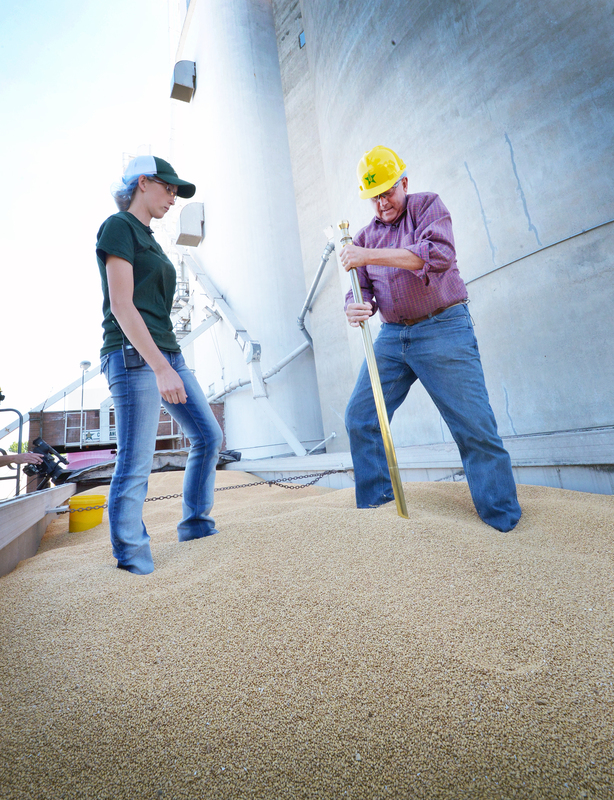 Testing the moisture is an essential first step in determining wheat quality because this data is used for other tests. This is also important when considering the ability of the grain to be stored before milling. Wheat with a high moisture content attracts mold, bacteria, and insects, none of which are good for producing a quality product. As seen in the tour video, the moisture content of the wheat at Star of the West was between 12.9 and 14.1 percent, which is well within the standard acceptable limit. Horn then performed what is referred to as a vomit-toxin test, which checks for any impurities or toxins in the flour once it has been processed. Once the flour is tested and sifted it is then transported through tubes that pass through a powerful electro-magnet, which is a final safety precaution to filter out any microscopic metal particles from any of the processing machines. From there, it is fully prepared and ready to go on the truck. Finally, the load was ready for its journey to Battle Creek. As the semi pulled up, Horn went through the necessary steps to prepare the truck for loading. The flour is blown into the back of the enclosed trailer through a large tube, so a vent must be opened to allow air to pass through to prevent air lock. In order to not lose any of the flour in this process, large filters are placed over the vent so air and only air can pass through, allowing the flour to continuously be blown in until the trailer is full. As the tour concluded, Horn again pointed to the deep roots this company has in his hometown. “It is humbling to see how this company has grown since its beginnings in the early settlement of Frankenmuth,” Horn said. “What began as a joint venture between two brothers is now a bustling multi-state orginization that owns five flour mills which produce 14 different types of flour, 12 grain elevators, four dry bean processing plants and two fertilizer operations. 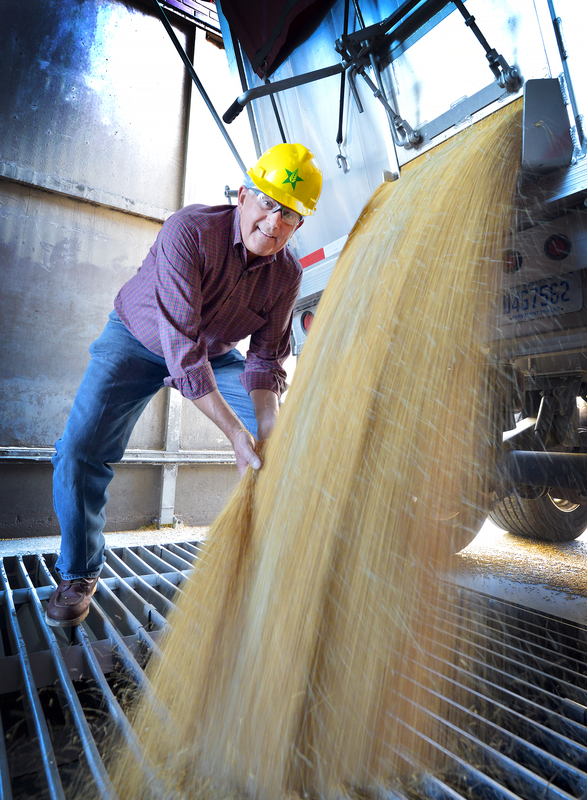 PHOTO 1 CAPTION: State Sen. Ken Horn, R-Frankenmuth, stands in the back of a semi loaded with freshly harvested wheat as it is delivered to Star of the West Milling in Frankenmuth. 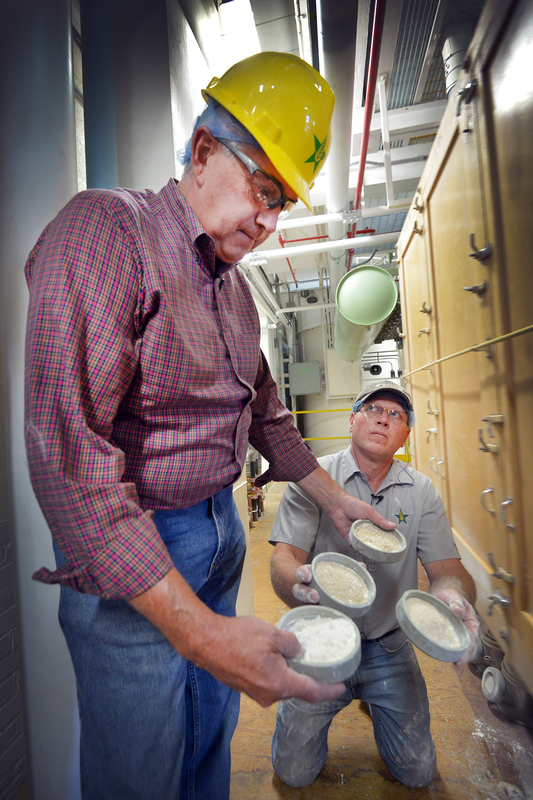 PHOTO 2 CAPTION: State Sen. Ken Horn, R-Frankenmuth, stands with mill worker Tom Reinbild, and compares different types of flour as they are sifted and continue through the milling process. PHOTO 3 CAPTION: A load of freshly harvested wheat is dumped into the floor grate where it begins its journey through the mill, where it will eventually end up as consumer-grade flour.